Apple Annie's has been a staple in the area for years - just in different forms. 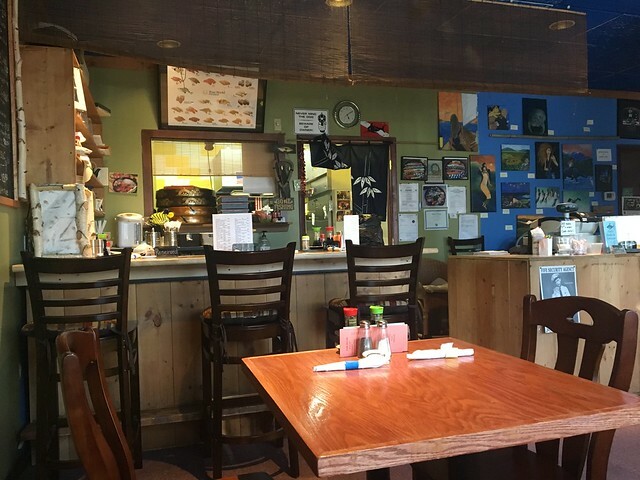 Just across the border in Point Marion, the restaurant was a quick roadtrip for homemade desserts and meals for years. Then a couple years ago, they opened a bakery in Morgantown. And, now, they've shuttered the Pennsylvania location in favor of a full-service location in Morgantown. 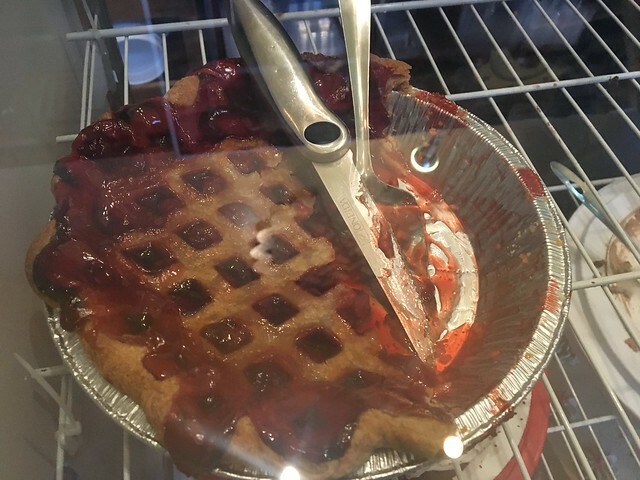 Located in Pierpont Landing, Apple Annie's is a combination bakery and restaurant. 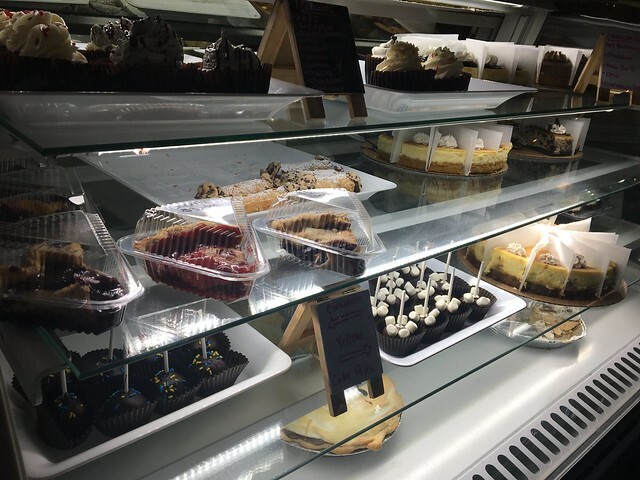 The front case is full of homemade desserts and treats, like apple pie, cake pops, peanut butter pie, cheesecake, cannoli, cupcakes and more. 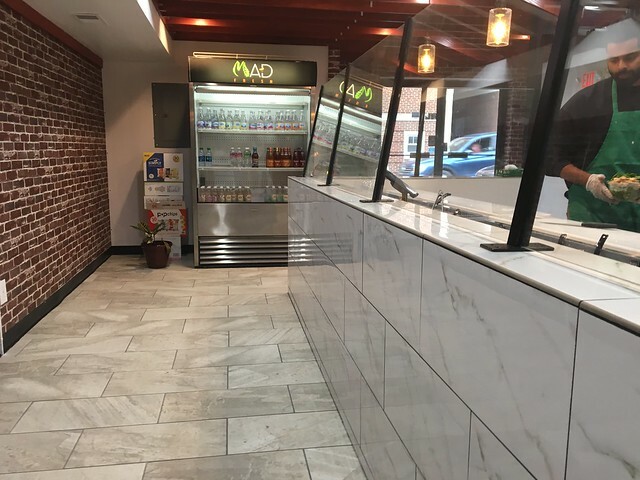 And the restaurant side features salads, soups, burgers, sandwiches and some larger entrees. Whenever I see a special take on a pepperoni roll, it's hard for me to not order it these days. 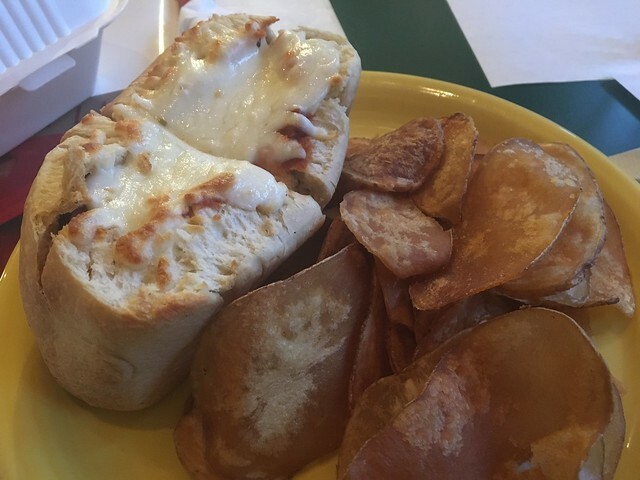 Apple Annie's pepperoni roll is baked with sticks of pepperoni, then split open and topped with meat sauce, peppers, mozzarella and provolone. And, served with a side of homemade potato chips and coleslaw. 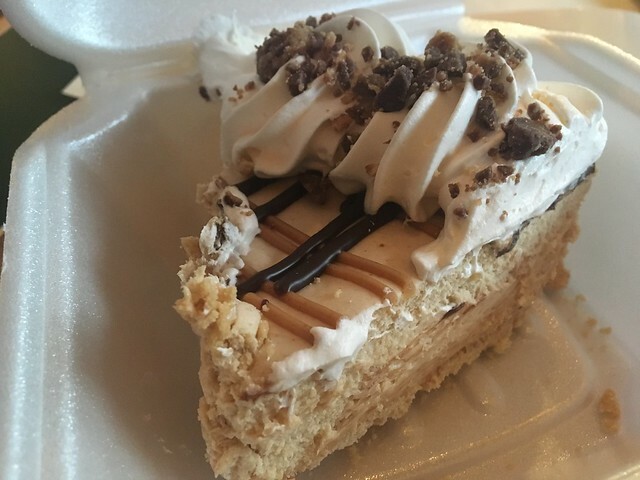 And, peanut butter pie is such a weakness for me - I couldn't NOT get it! This was recently published as a supplemental piece to Anthony Bourdain's upcoming episode based in West Virginia. It airs tonight at 9 p.m. In West Virginia it’s been said that coal mining is more than a job—it’s a religion. And if the coalfields are church, then the pepperoni roll—a soft roll filled with sticks or slices of pepperoni—is the Holy Bible. 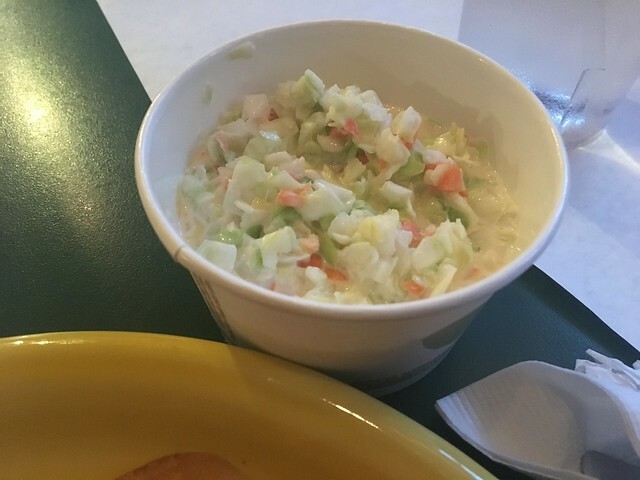 This iconic food’s roots in West Virginia run as deep as its bituminous coal mines, perhaps because the two developed in tandem. In the early years of the 20th century, thousands of Italian immigrants moved to north central West Virginia to mine coal. The industry was rapidly expanding, as West Virginia helped power the growing nation; and many men from Calabria, Italy, saw the land of opportunity as a change from their depressed sulfur-mining industry. They worked long, hard 10-hour shifts, six days a week. The only break in the day was often the lunch hour. A coal miner’s bucket often reflected the cuisine of his heritage: Germans ate pork, Irish brought white bread, and Italians ate a stick of pepperoni or salami and a roll. It’s likely that the very first pepperoni rolls were lovingly crafted in the kitchens of coal miners’ wives, somewhere in West Virginia or even southwestern Pennsylvania, in an effort to provide a tasty lunch for the men toiling underground. But it’s Giuseppe “Joseph” Argiro, a coal miner turned baker, who is most commonly credited with commercializing West Virginia’s pepperoni roll. Argiro emigrated from Calabria in 1920 to work in the Clarksburg-area mines. 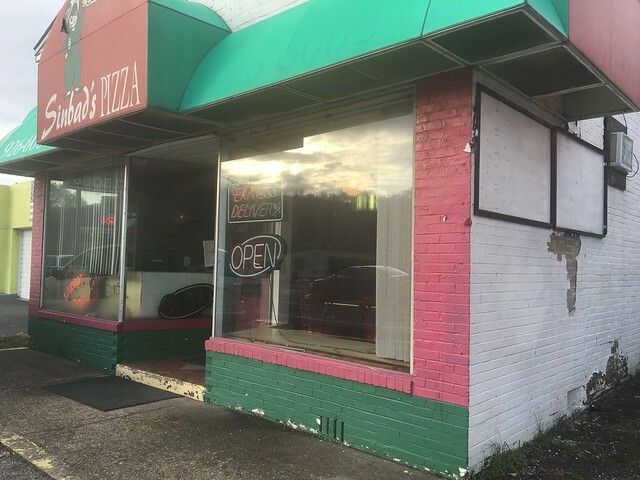 After laboring underground for years, he left the mines to open an Italian bakery in Fairmont, West Virginia: the People’s Bakery. There he churned out hearty Italian bread and other staples evocative of his home country. Sometime between 1927 and 1938, Argiro drew inspiration from his days as a miner and combined the typical Italian lunch—a slab of bread and a chunk of pepperoni—into one convenient, shelf-stable portable meal: the pepperoni roll. This 5-inch-long delicacy involves taking a piece of dough and folding it over two freshly cut sticks of pepperoni, then folding it back over an additional stick or two. In the oven the spices and oils from the pepperoni blend beautifully into the soft dough to create an incredible snack that is much more than the sum of its parts. The pepperoni roll, which sold for 45 cents a dozen, has become a cultural icon. Steeped in heritage and dedicated to an industry on which the state was built, it has evolved into a culinary symbol of pride, integrated into every facet of West Virginia life. Over time the salty snack spread from border to border, reaching the steel mills of the Northern Panhandle, D.C. vacationers in the Eastern Panhandle, and the southern coalfields—where ATV riders pack them for a long day on the trails—as well as all points in between. Today Argiro’s original pepperoni rolls live on at the storefront now named Country Club Bakery, which churns out 300 to 400 dozen per day. But many more bakeries have developed their own unique versions of the humble miner’s lunch. 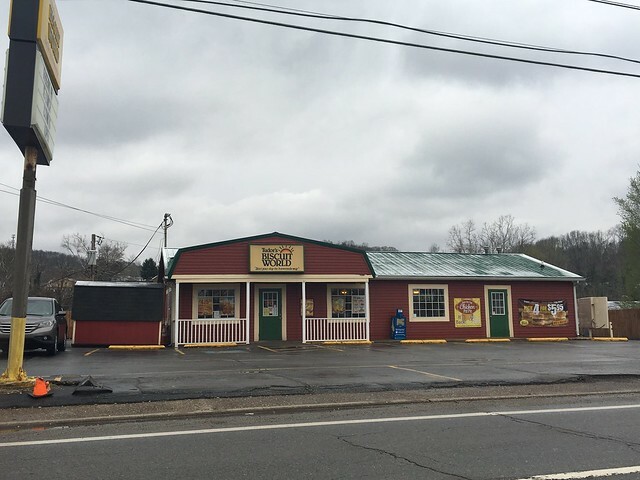 Tomaro’s Bakery, in Clarksburg, is the oldest Italian bakery in the state. 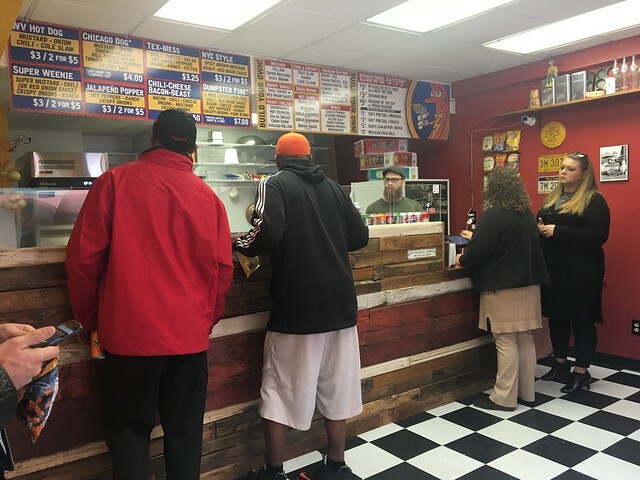 In a line that runs around the block, Tomaro’s customers wait for hot pepperoni rolls straight from the oven. 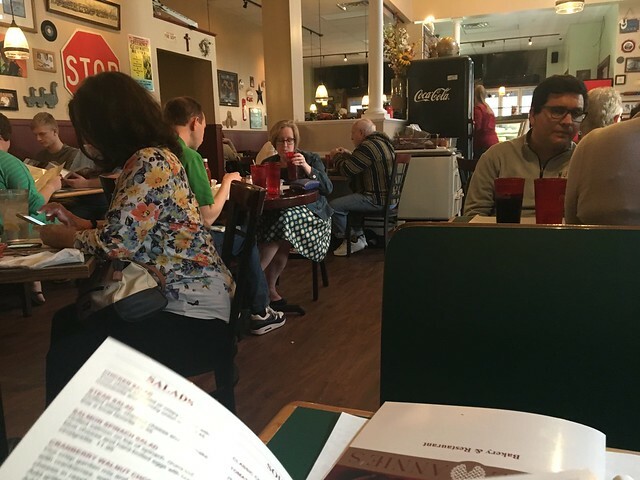 Just across town is D’Annunzio’s Italian Bakery, dividing the city in a friendly debate over which shop dishes the best roll. Subtle differences distinguish the bakeries’ rolls from one another, but they are all under the traditional umbrella: originally baked with a harder Italian bread and sticks of freshly cut pepperoni. Then there’s Abruzzino’s Italian Bakery, which introduced a softer white bread that all bakeries soon adopted. And then Chico Bakery, which added provolone and hot pepper cheese. Following Chico was Home Industry Bakery, which switched from stick pepperoni to sliced pepperoni to get that spicy, savory meat in each bite. 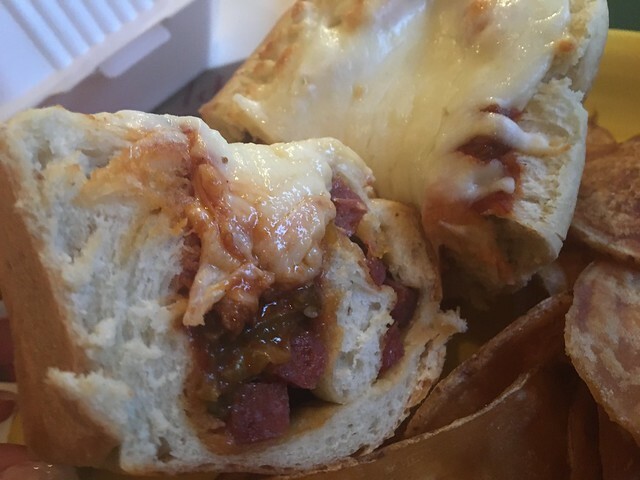 Colasessano’s, meanwhile, calls its pepperoni roll a “pepperoni bun.” The burrito-size roll is split down the middle and topped with chili sauce, cheese, or peppers if you want them. Not enough options? 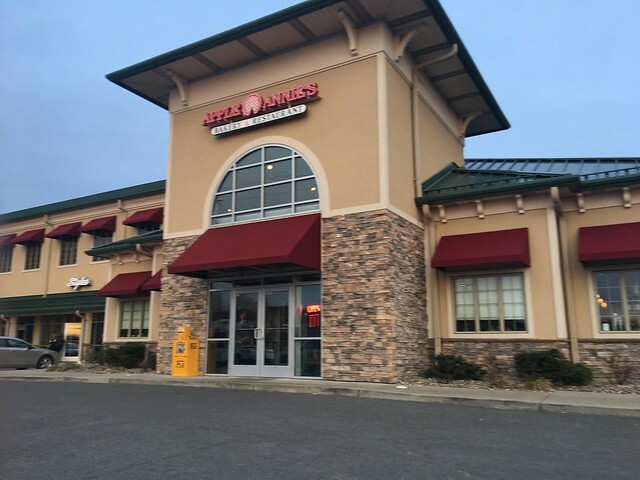 There’s also Rogers and Mazza’s, which produces bags of mini pepperoni rolls stuffed with cheese that are perfect for snacking. Other bakers have even added ramps (a garlicky wild onion), used ground pepperoni, or made molecular-gastronomy versions. Each derivation has its loyalists. Traditionalists prefer stick pepperoni, claiming that sliced pepperoni is lower in quality. Purists turn their noses up at the addition of cheese. Incorporating peppers or sauce draws ire from those who think it turns the pepperoni roll into a calzone or stromboli. Many of the original reasons for the pepperoni roll’s popularity persist today. Because it requires no refrigeration, the pepperoni roll was and is great for lunchboxes. Today it’s perfect for road trips. Because it is portable, the pepperoni roll is an easy lunch when you’re working underground. But it’s also great for hiking. Because it is filling, the pepperoni roll could hold miners over until dinner. But now it’s great tailgating food on game days. Pepperoni rolls have made the leap from Italian bakeries to snack bars, grocery stores, convenience stores, gas stations, sporting venues, high-end restaurants, doughnut shops, catering menus, cafeterias, military meals ready to eat (MREs), and more. The list continues to grow as the pepperoni roll, like America, continues to evolve. Yet it remains woven into the fabric of West Virginia. 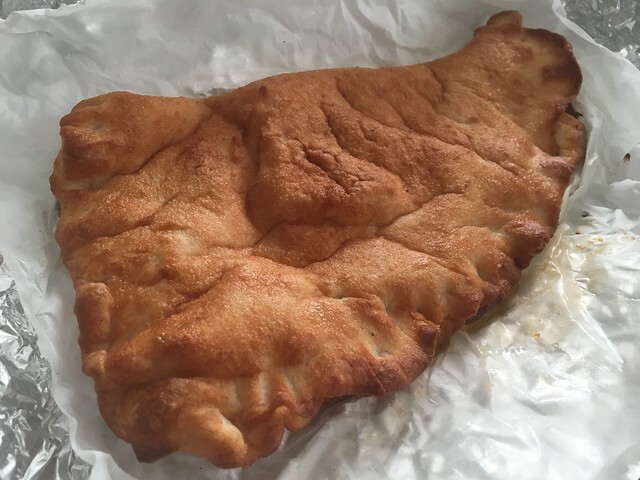 Every bit as much as New Yorkers love their bagels and Philadelphians love their cheesesteaks, West Virginians are connected to the pepperoni roll—extracted from the soul of the mountains, it lives on in the hearts of the people. 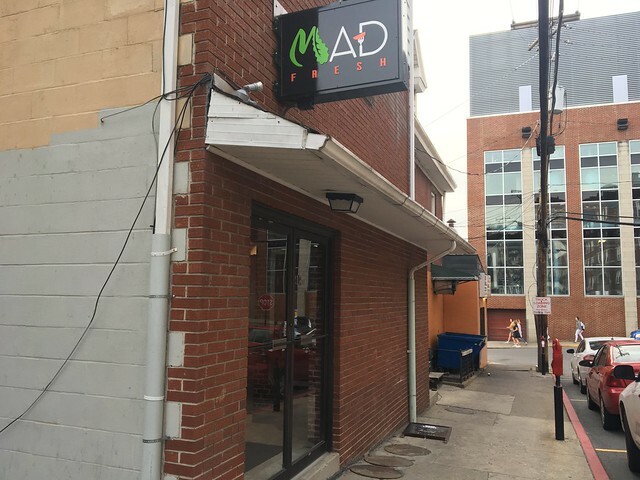 Mad Fresh is a new restaurant in Morgantown that specializes in made-to-order salads and is located next to the former Nick's Canteen across from Boreman Hall. 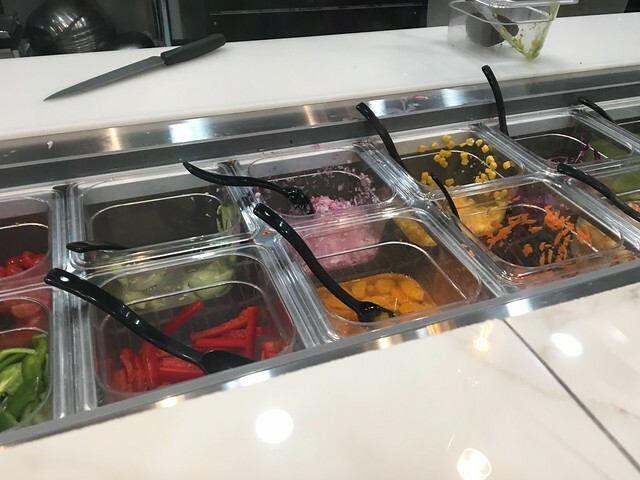 All orders are made to go -- or you can get it delivered. 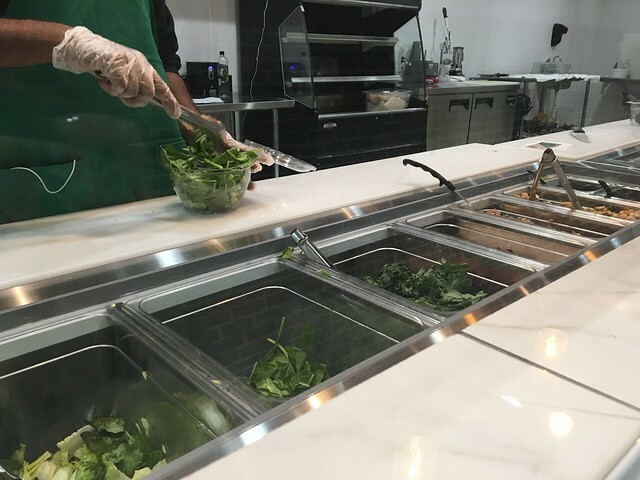 There are just a handful of special salads on the menu, but customers can create their own from a number of fresh ingredients. 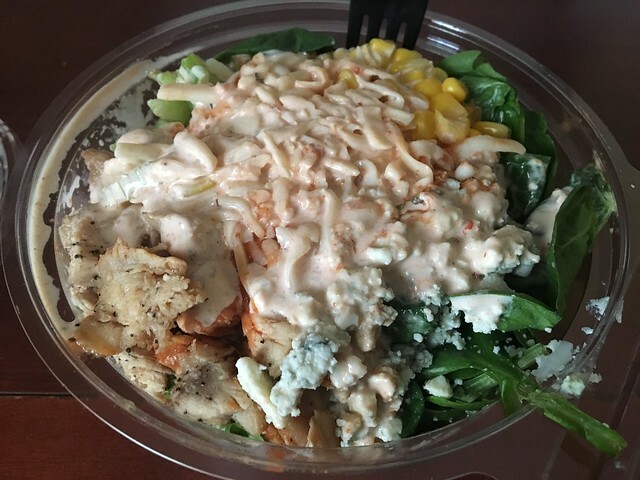 One of the salads that they have created is the "Buffalo Fresh Salad," which has "Celery, Corn, Tortilla Strips, Mozzarella Cheese, Bleu Cheese Crumble, Buttermilk Ranch." 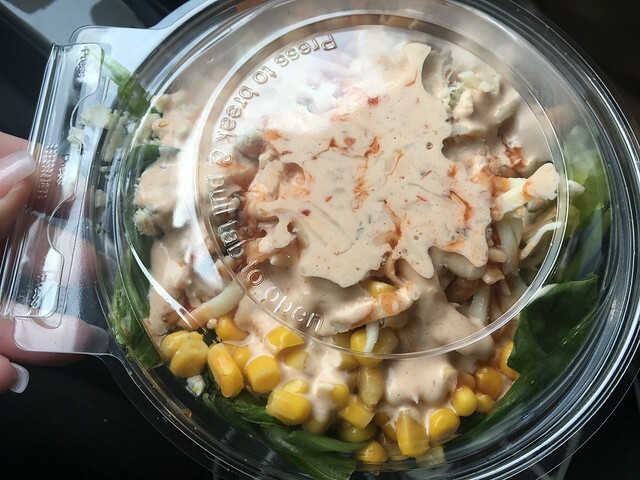 I opted for chipotle ranch. Tons of fresh ingredients to top your romaine, spinach or kale. And, it comes in this handy plastic container that makes it super portable. Have you been? What's your favorite combo? On a random recent Saturday, I found myself in the Spring Hill neighborhood to get some breakfast items for an upcoming column. But, while there, I decided to swing through a new-to-me Tudor's Biscuit World. 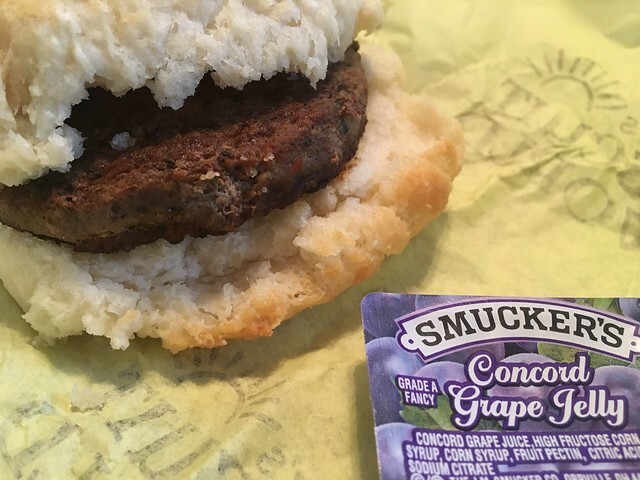 I've discovered my favorite biscuit is a sausage biscuit, add grape jelly. Extra points for grape jelly. So, that's where I've been trying everywhere to get a benchmark read. Always a delicious breakfast. What's your go-to biscuit? 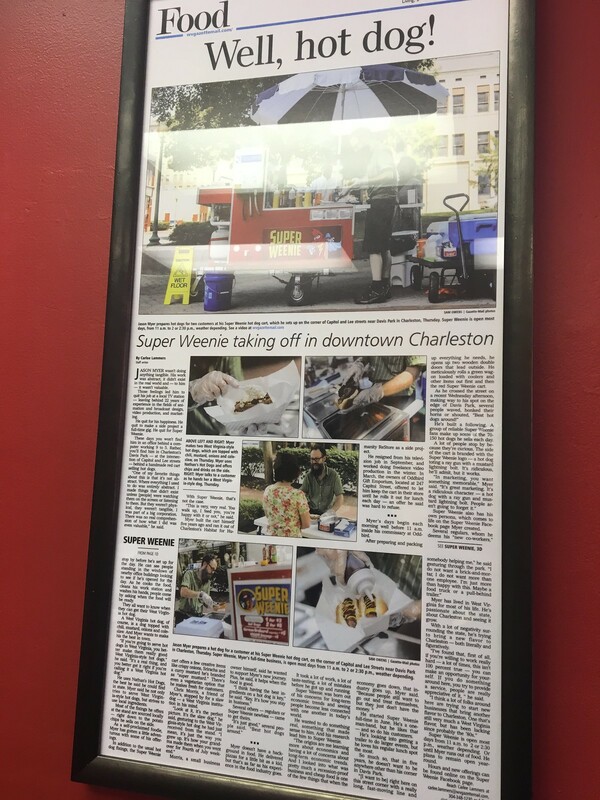 The beloved Charleston hot dog cart, Super Weenie, has found a permanent brick & mortar home on Quarrier Street. 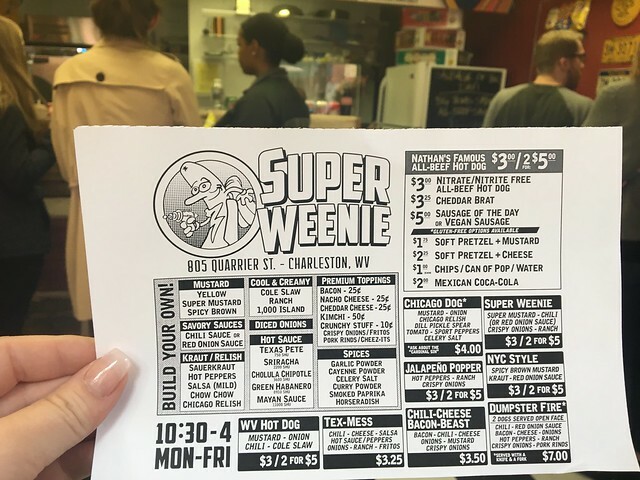 The menu that runs the width of the restaurant features the iconic West Virginia hot dog, with a few fun specialties. 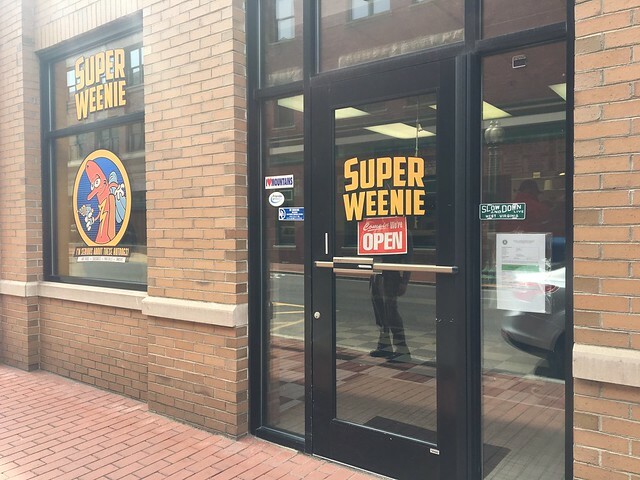 Specialties include the "Tex-Mess," "Chicago Dog," "Jalapeno Popper," "Super Weenie," and more. Plus, the option to create your own. 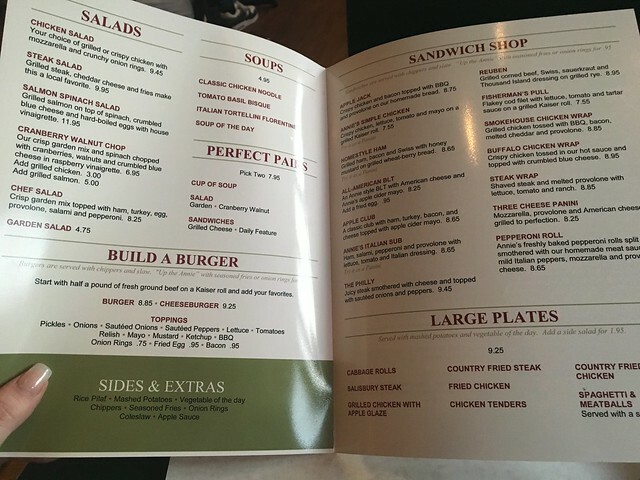 Order on the right side of the restaurant and pay first. Then make your way to the left to make the hot dog - a little backwards from what I thought. My friend Carlee's story made an appearance! 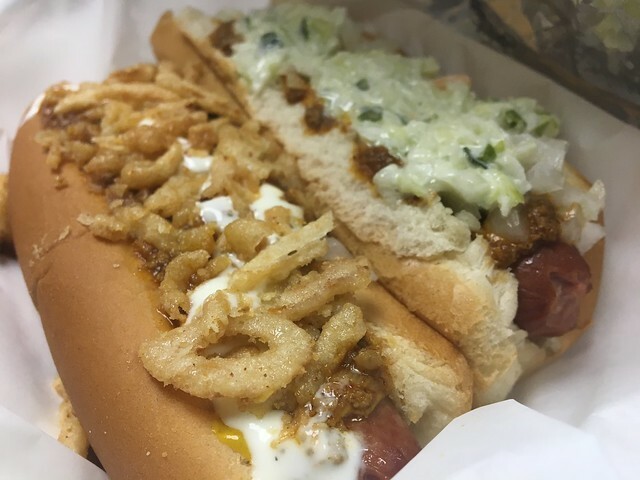 Left - Super Weenie with super mustard, chili, crispy onions and ranch. 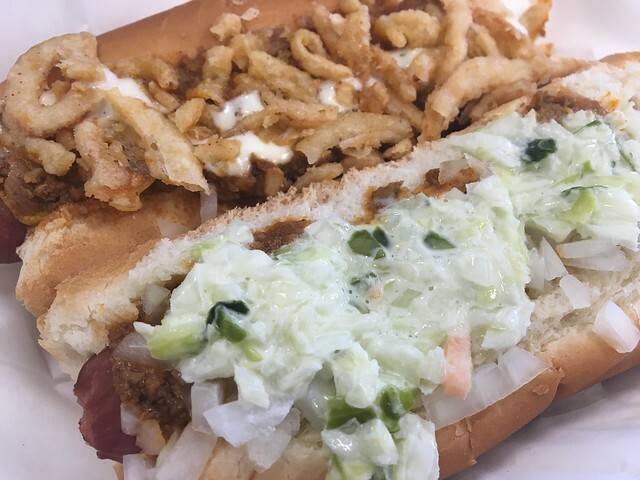 Right - West Virginia hot dog with chili, slaw, mustard and onion. 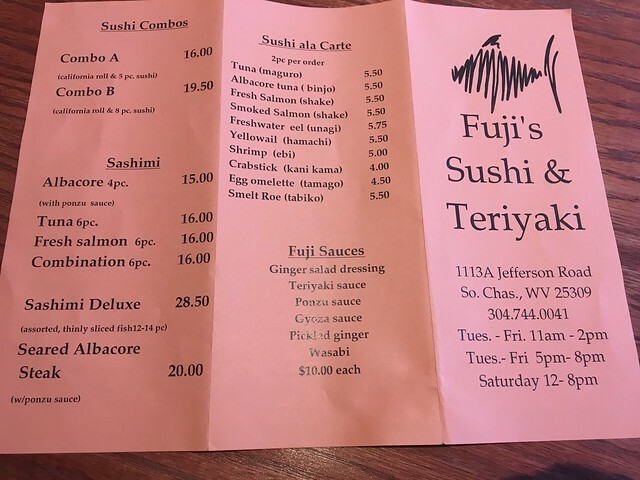 In my neverending quest to find the best sushi in Charleston, I found myself at Fuji's Sushi & Teriyaki with my friend Leah. 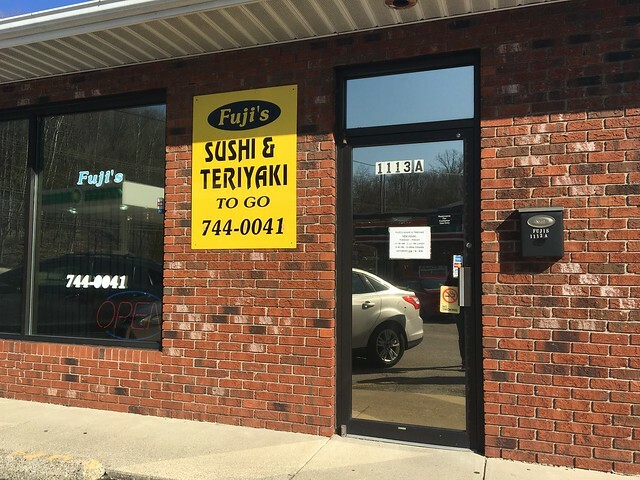 Located in South Charleston next to a gas station, Fuji's has just a handful of tables and a few seats at the bar. The menu is fairly simple with some basic rolls, teriyaki and a few appetizers. 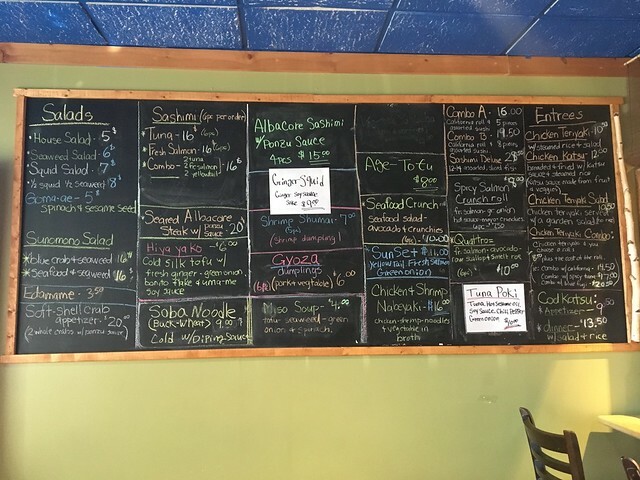 There's the paper menu, another menu with expanded rolls and then a chalkboard full of more specials. 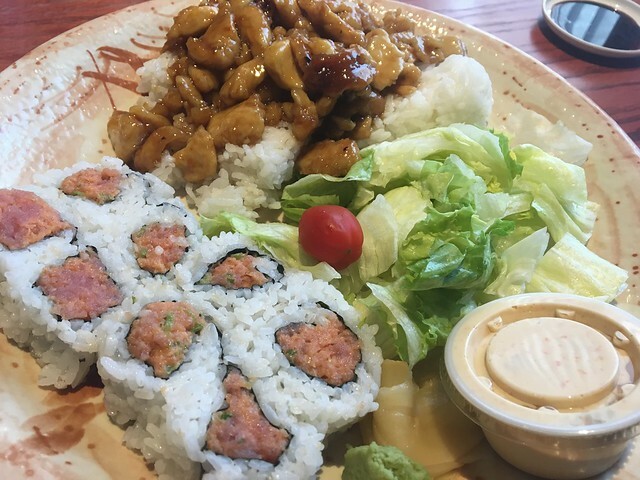 But I wanted to do a nice combo so I got the chicken teriyaki, with a spicy tuna roll, and it came with salad. Have you been? What'd you get? 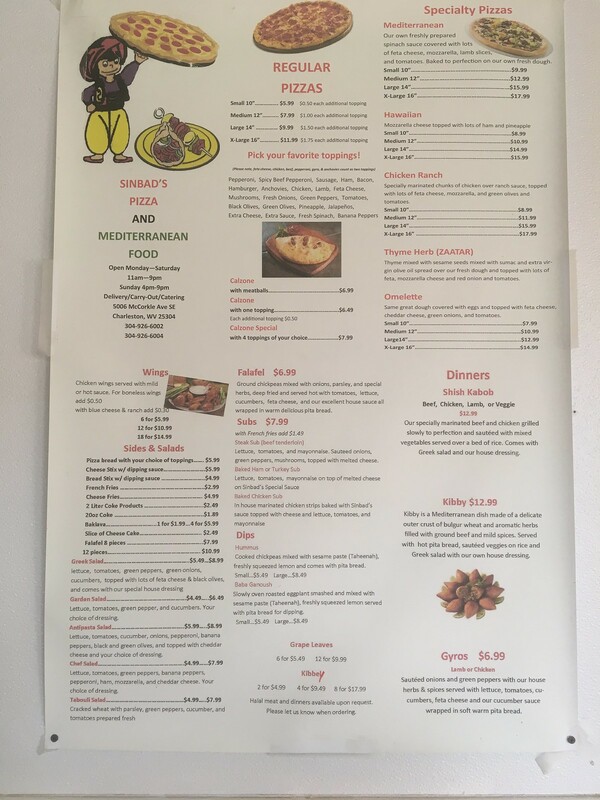 Sinbad's Pizza & Mediterranean Food is located in Kanawha City and dishes out unique pizzas, gyros, shish kabob, falafel, kibbeh and more. 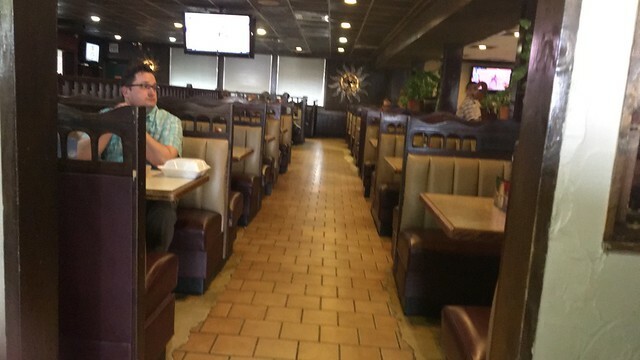 There are just two tables inside, so most of the orders are takeout. 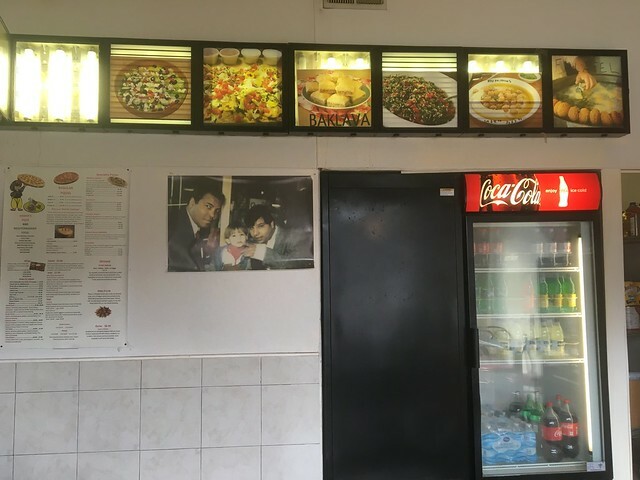 I wasn't sure what I wanted, so I waited til I got to the restaurant to look over the whole menu first. 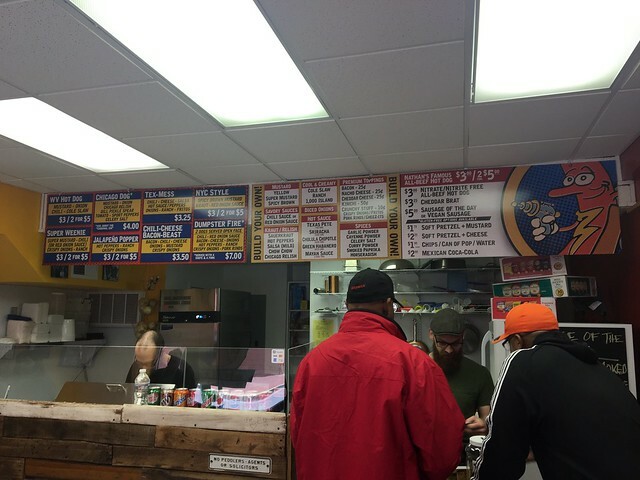 One thing that isn't on the menu - and was my main motivation for checking this place out - is a halal beef pepperoni roll. A friend told me I had to try it, so I asked for one and the owner was happy to make one for me. 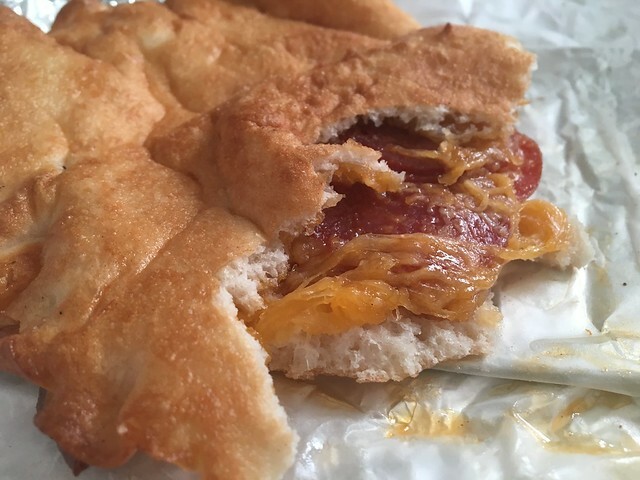 The pepperoni roll looks more like a calzone, but it had cheese and beef pepperoni, which definitely has a unique taste. And, I got a gyro for later. 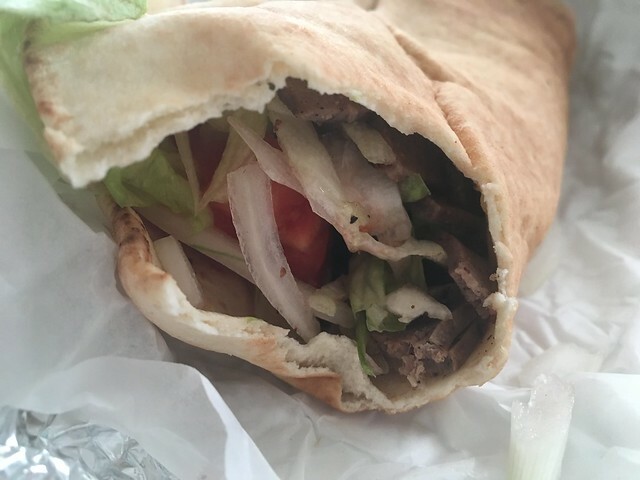 It was not on the thicker pita I'm used to for a gyro, but the thinner flour tortilla you would see on shawarma. 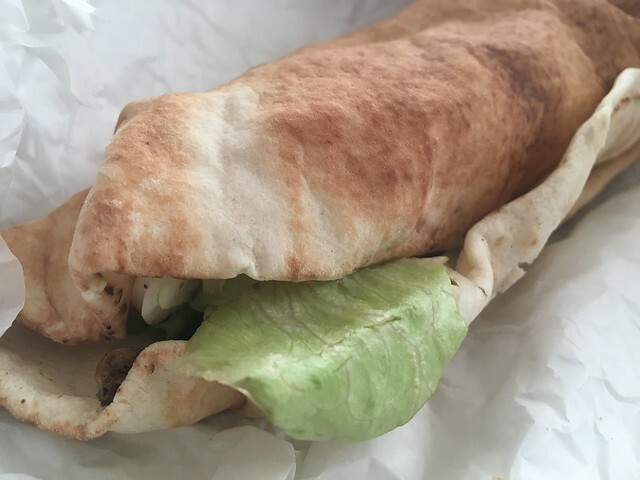 It was stuffed with lamb meat, lettuce, tomato, onion, feta and cucumber sauce. 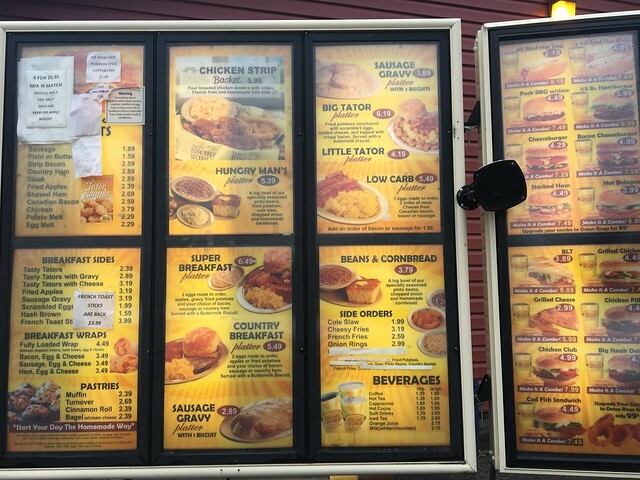 For as long as I've lived in Charleston, I've heard folks refer to "Mexican Shoney's," which is just a Mexican restaurant that used to be a Shoney's location. 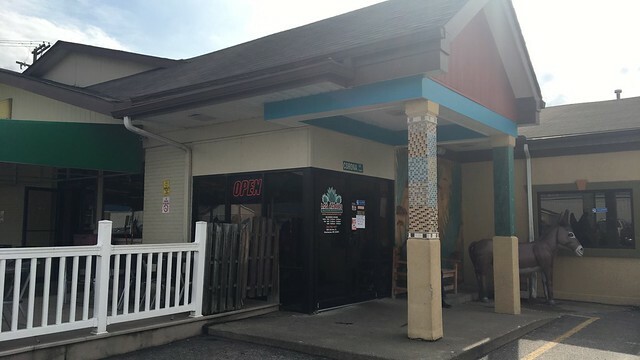 Los Agaves is located in South Charleston, with additional locations in Dunbar and Parkersburg. The restaurant has a small outdoor patio, which was perfect for the first 75 degree day of the year. 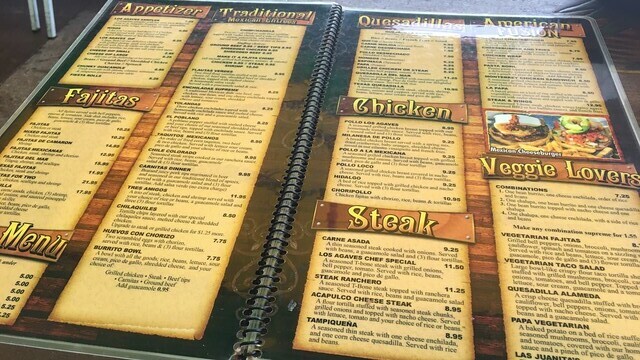 The menu is large and has a few unique options, which I always get excited about when visiting a new place. 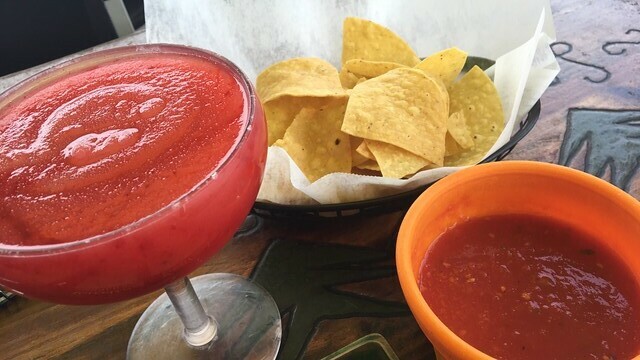 But first, strawberry frozen margaritas and chips & salsa. 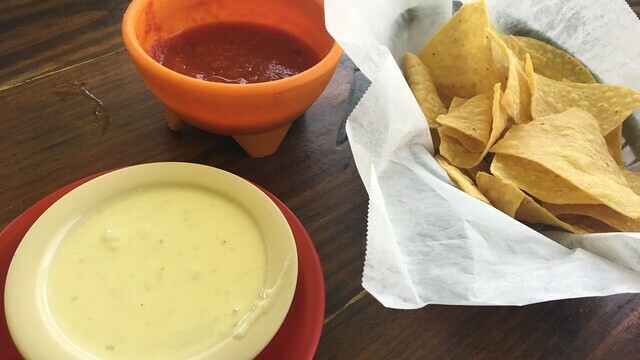 Add in a side of queso, please. 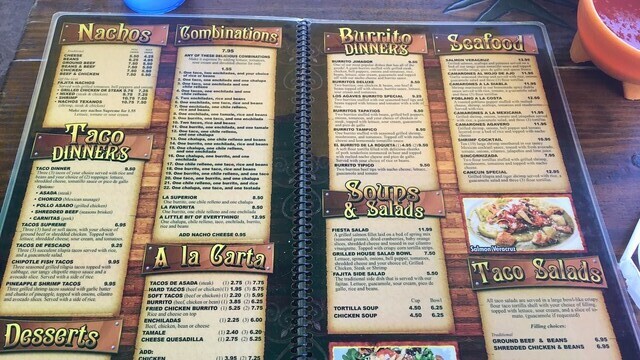 For my entree, I went with the "Burrito Jimador," because the menu said it's one of the most popular dishes! 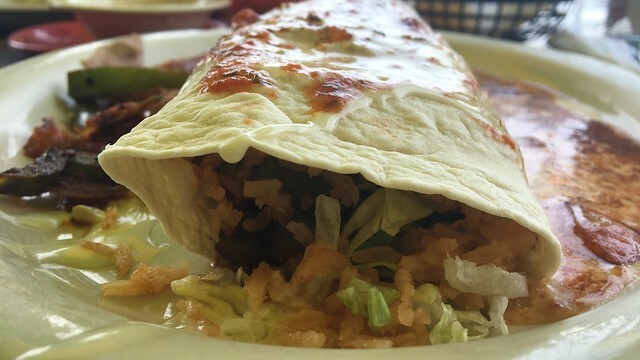 It is a giant burrito stuffed with grilled steak, chicken, bell peppers, onions, tomatoes, rice, beans, lettuce, sour cream, guacamole, and topped with nacho cheese and burrito sauce. One. Big. Burrito. 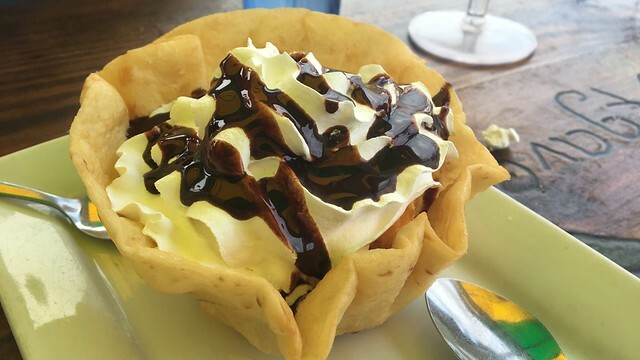 For dessert, we split a fried ice cream that was coated in corn flakes! Have you been? 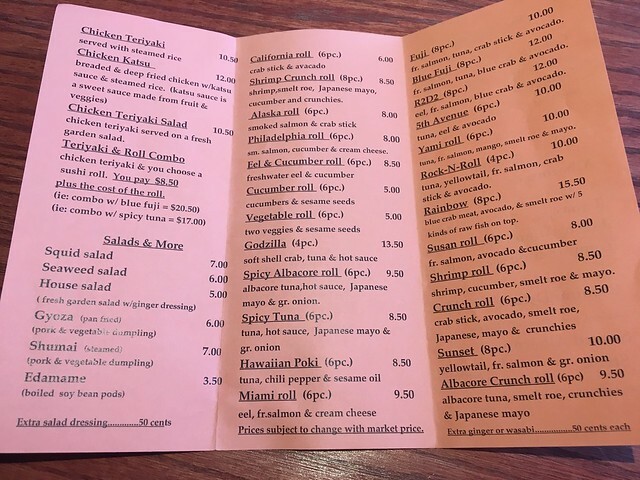 What's the best menu item?